Join us for another amazing 3 day event from the 18th to the 20th of May. Do you own a magnificent machine, a classic or a spectacular sportscar, boat or aircraft and like to show ‘her’ off occasionally to a few close friends? 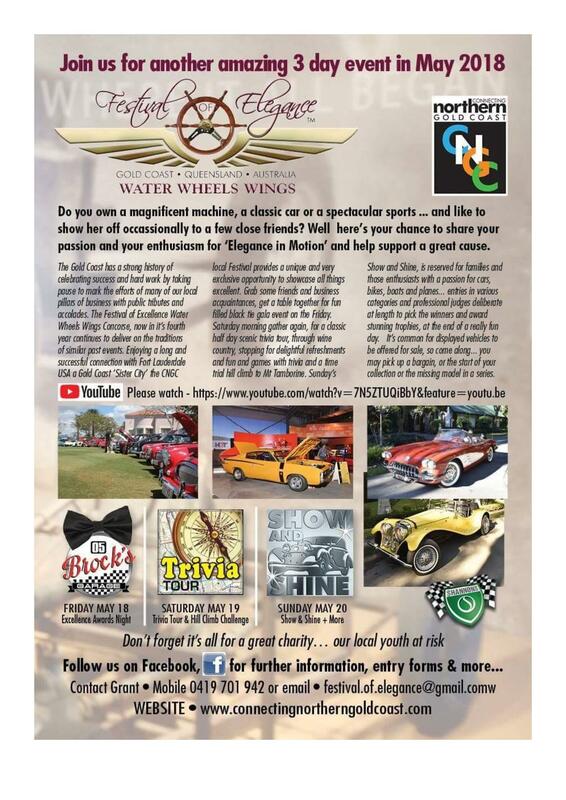 Well, here’s your chance to share your passion and your enthusiasm for ‘Elegance in Motion’ and help support a great charity.